Michael Lewis sure knows how to whip Washington and Wall Street into a frenzy. 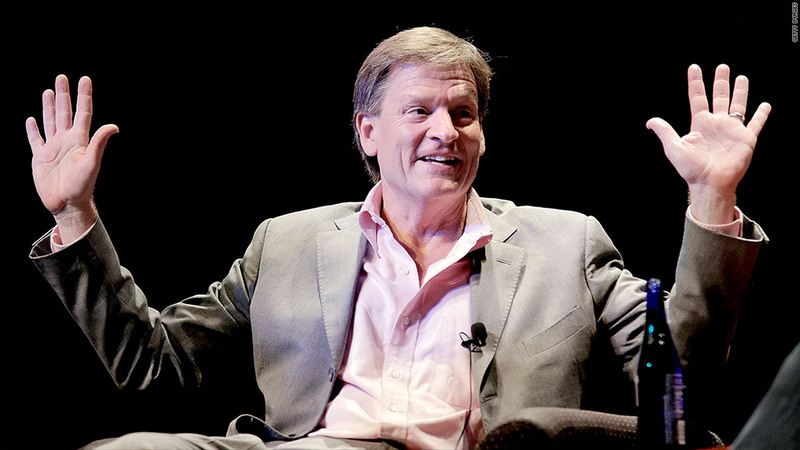 It's been just over two months since the "Flash Boys" author dropped a bombshell by arguing that U.S. markets are "rigged" by high-frequency traders (HFT). That controversial claim is now at the center of countless regulatory probes, a series of lawsuits and intense debate among various people and companies with money in the market. The debate shifted Tuesday to the U.S. Senate, where lawmakers convened a hearing to discuss how high-frequency trading works and whether it's fair to all investors. The discussion focused on how brokerages like E*Trade (ETFC) route their trade orders to stock exchanges. Brad Katsuyama, the hero in Lewis's book, played a starring role in the hearing. "Post 'Flash Boys,' the regulatory activity has been buzzing," said Joe Saluzzi, who is a member of a Commodity Futures Trading Commission subcommittee on HFT and co-founder of Themis Trading. "They're going in the right direction." Despite all the attention on HFT, investors don't seem that worried. The S&P 500 is up about 4% since closing at 1,858 the Friday before the author's memorable "60 Minutes" appearance where he first made the "rigged" comments. Wall Street seems to be betting little will change as a result of Tuesday's hearing. That could be why shares of Charles Schwab (SCHW) and TD Ameritrade (AMTD) popped 5% a piece and E*Trade soared over 7%. "The current market structure is not fundamentally broken, let alone rigged," Mary Jo White, chairman of the Securities and Exchange Commission, said in a recent speech laying out proposed changes to bolster market structure. But that doesn't mean there aren't problems. Lewis has accelerated a debate that was underway already. Related: Could the Flash Crash happen again? 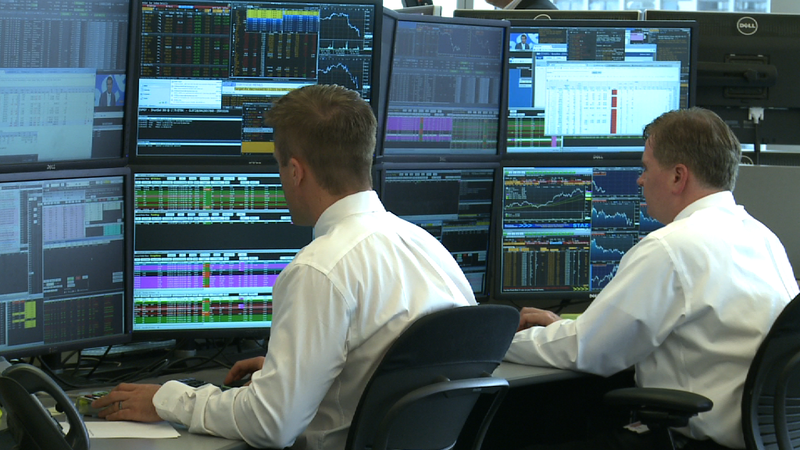 HFT: Fair or foul? During the Senate Permanent Subcommittee on Investigations hearing, former RBC Capital executive Katsuyama told lawmakers about how his exchange strives to remove conflicts of interest and protect investors from high-frequency traders. He pushed for regulators to require brokers and exchanges to increase transparency, giving the public a greater view for how the current market structure really operates. Lawmakers questioned stock exchange executives about their cozy relationships with HFT firms. Regulators are probing whether exchanges should be able to give high-speed traders the ability to store their servers at the exchange, right beside the actual serves that handle the exchange's trades. It comes down to fractions of a second, but it can give HFT traders an edge, especially if they get information before others do. One of the most outspoken defenders of HFT is BATS Global Markets CEO Joseph Ratterman. As expected, he played up the benefits of cheaper transaction costs for all investors and the injection of much-needed liquidity (except for that whole 2010 Flash Crash catastrophe). "While our current equity market structure is not perfect, I believe that it is by far the fairest, most efficient and most liquid market in the world," Ratterman said in his testimony. He also warned of "potential unintended consequences of sudden, significant changes." Other panelists before the Senate included Thomas Farley, president of the New York Stock Exchange, whose new owner IntercontinentalExchange (ICE) has argued that the complex market structure has spooked investors. Farley said NYSE is willing to "put all options on the table" related to speedy data feeds provided to HFT firms, but said changes must be applied equally to all exchanges and dark pools. TD Ameritrade (AMTD) executive Steven Quirk was another panelist. Last week, TD said the brokerage received $236 million last year for so-called "payment for order flow." It was the first time it disclosed the overall figure, although the brokerage did not say to whom it sold the order flow. The practice of exchanges paying to attract orders from brokers has come under scrutiny in recent months, although the SEC already requires brokerages to periodically inform clients if they receive any money for routing orders to specific places. Quirk told lawmakers that revenue generated from order flow is used to operate its business and "indirectly" trickles back to clients through low-cost or free products and services. Regulators swarm: It's clear regulators have intensified their efforts to probe HFT practices since the release of Lewis' book. There are active investigations by the SEC and CFTC into the benefits exchanges provide to HFT firms, while the FBI is looking into whether these high-speed traders engaged in insider trading by seizing on information they get before the public does. But the real fireworks could be set off by New York Attorney General Eric Schneiderman, who issued subpoenas to half a dozen HFT firms demanding details on secret arrangements with exchanges and dark pools. The New York Attorney General is also seeking information from major banks that operate dark pools, which are alternative trading platforms that let investors execute trades anonymously. "That's the one that is scaring Wall Street," said Saluzzi, citing the vast powers Schneiderman's office has to fight financial fraud thanks to New York's Martin Act. Wall Street "can handle the CFTC and SEC. They cannot handle the NY Attorney General," he said. 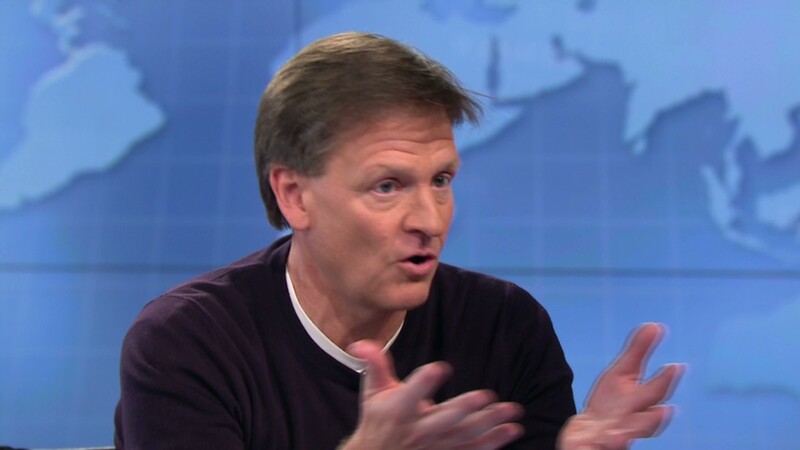 "Flash Boys" has also ignited a number of lawsuits, including one ironically led by high-profile attorney Michael Lewis (no relation to the book author). This class-action lawsuit filed in May against NYSE, Nasdaq (NDAQ), BATS and other exchanges alleges they hurt some investors by selling advance access to market data. The city of Providence, R.I. also filed a lawsuit accusing the exchanges, HFT firms like Virtu Financial and major securities brokers such as Goldman Sachs (GS) of defrauding investors and manipulating markets. 'Surgical' regulation? The SEC has signaled it's taking the concerns about market structure seriously. Earlier this month, White said the agency is developing rules targeting high-speed traders, boosting transparency at dark pools and revising order-routing practices. While she said the SEC should not "roll back the technology clock," White acknowledged "aggressive, destabilizing trading strategies in vulnerable market conditions" and said she's concerned by the lack of transparency in dark pools. Saluzzi said the SEC shouldn't try to eradicate HFT or institute thousands of pages of rules like in the Dodd-Frank overhaul. Instead, he said, the SEC needs to take a "surgical" approach that will "erode the incentives" for some of the nefarious aspects of HFT. "Remove the conflict-of-interest roadblocks so the market can fix itself," he said.